A Free Imaging Trial That Will Make You Smile!! 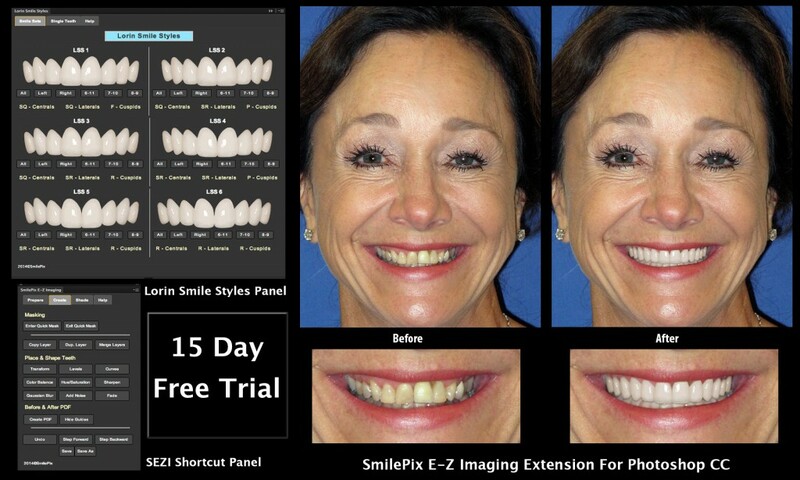 SmilePix is now offering a 15-day free trial of their imaging software, SmilePix E-Z Imaging (or SEZI). Just as a smile simulation lets a patient 'try on their new smile' before they commit to treatment, dentists can 'try SEZI on' before they decide to purchase it. SEZI is an extension for Photoshop and SEZI combined with Adobe Photoshop’s free trial allows dental offices to try cosmetic smile simulations in their office at no cost. SmilePix E-Z Imaging (SEZI) is a simplified system for Photoshop that includes teeth shape templates (Lorin Smile Styles), plug-in panels for Photoshop, and a series of instructional videos that guide you through the process of creating full face individual smile simulations. SmilePix has collaborated with Dr. Lorin Berland (co-creator of the Lorin Library) to create the new and improved Lorin Smile Styles to help you design custom simulations. Streamlining techniques developed over many years into easy-to-follow instructional videos, SmilePix makes imaging fast, personal, and cost-effective. SmilePix E-Z Imaging will always work with Photoshop in Windows or Mac. Cosmetic dental imaging software often does not work on Apple computers. SEZI does. Also, other dental imaging software can stop working with operating system upgrades. SEZI won't. 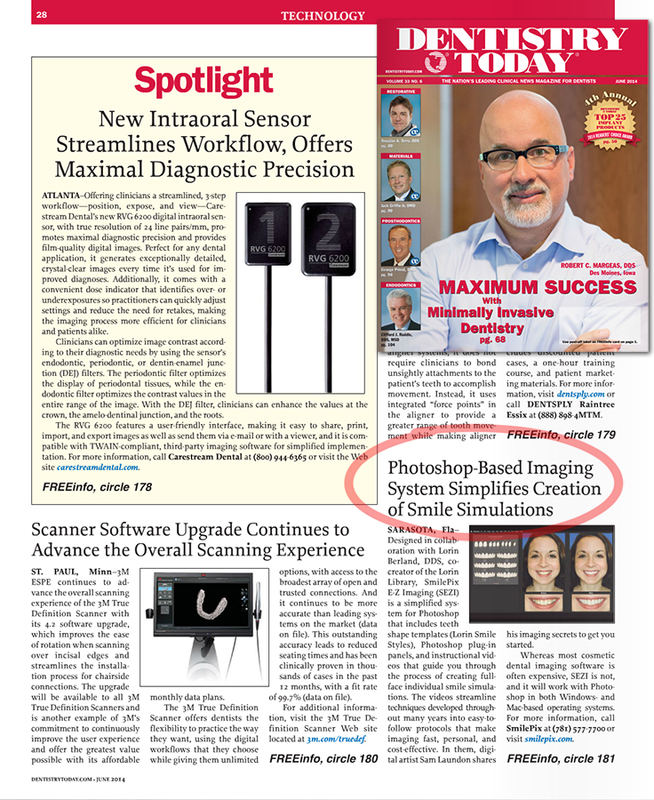 Cosmetic Dental Imaging Software is often very expensive. SEZI is not . SmilePix provides you with adjustable teeth shape templates. This makes it personal. The Lorin Smile Styles plugin is included, making teeth easy to drop into a photograph. to customize size, shapes, color, tone and translucency. Video tutorials are included to learn how to use the SmilePix E-Z Imaging system. Digital Artist Sam Laundon shares his imaging secrets to get you started. SEZI works with Photoshop CS6 and CC (Creative Cloud), for Windows and Mac. Adobe’s new subscription program (Creative Cloud) means no more pricey upgrades. One on One Training is included with the Purchase of SEZI. We will help you get started with SEZI online with a half-hour tutorial session . The session will be personalized to fit your individual needs and skill level. And that means your first one-on-one training is included in the price! Photos: Here is the link to the jpg media.